Because love can happen anywhere...even in New Jersey! It's a beautiful morning in early spring. What could possibly go wrong? Just returned from a buying trip in England, Kate French was jet-lagged and exhausted and running on fumes. She was already running late for an appointment, but a wave of dizziness forced her to pull into the shopping mall parking lot in search of a quick fix of caffeine and protein. When the pain first hit, she ignored it and continued racing across the parking lot toward the food court. But within moments she realized something was terribly wrong, as her wobbly legs gave out and she dropped to the ground. The last thing she remembered as she started to fade away was the guy in the Grateful Dead T-shirt who held her in his arms and promised he'd never let her go. 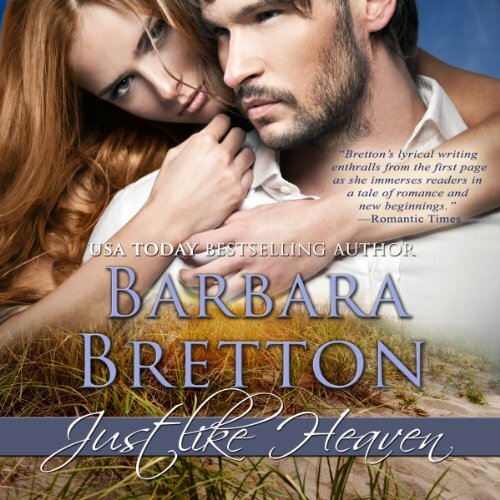 What a fabulous, gentle, loving story that Barbara Bretton has written. Yes, it has the logical conclusion, yes, it's a feel good story, but it is rich, the characters are well rounded, it is beautifully descriptive & an honest depiction of real life. No larger than life characters. Full of angst, pathos, fear, empathy, joy. The development of Kate was great. We see her naked emotions & the conquering of her fears. I love the narration, Mary Ann Jacobs did such a splendid job, that I felt I was right there as a fly on the wall, in the middle of it all. Her rich, warm voice had just the right flow, it wasn't stilted, as so many narrations are.